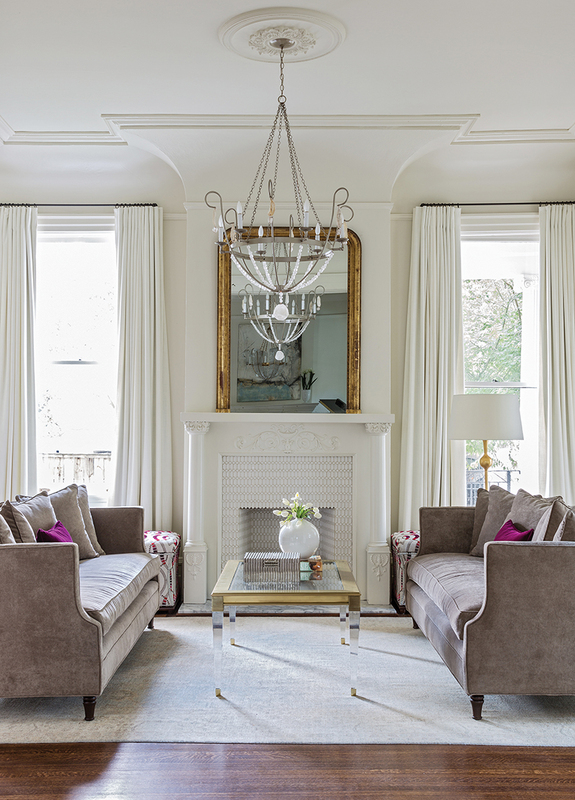 When George Varino found a New Orleans home and an interior designer that met his qualifications, he knew he had a winning combination. 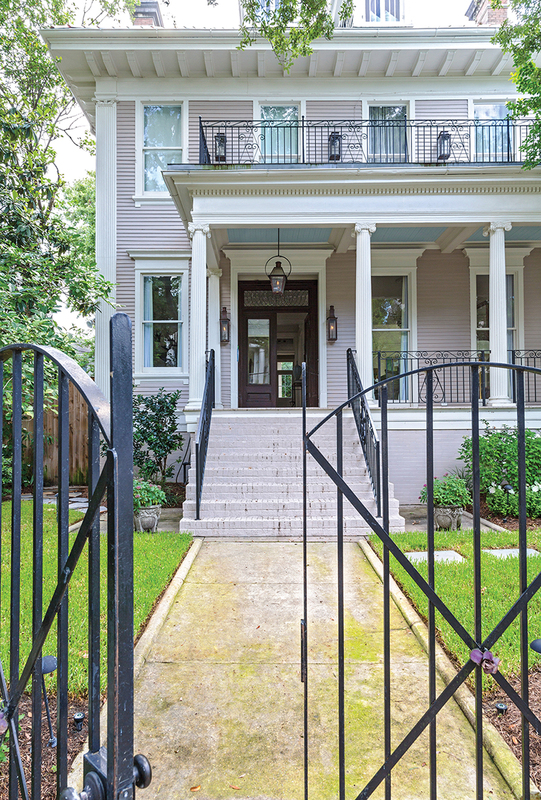 When George Varino, who grew up in Baton Rouge and now lives in Rye, New York, decided to buy a New Orleans home for himself and his two teenage kids, he had a clear idea of the type of house he wanted: a classic old New Orleans house with good bones and proximity to St. Charles Avenue Mardi Gras festivities. He found it a block off St. Charles Avenue in a 6,000 square-foot house with a notable pedigree and beautiful architectural details such as leaded glass windows. 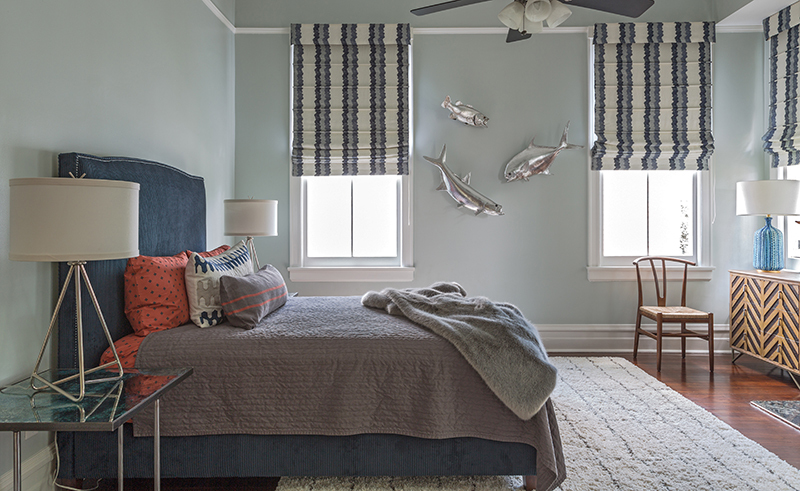 He also knew what he wanted in a designer – and found it in Bethany McCulla of Bmac Interiors in Covington. A New Orleans native, McCulla spent years living and working in Houston and New York before opening a retail business and design studio on the North Shore in 2010. Built in 1901 by brothers Jacob and Hartwig Newman, sons of well-known businessman and philanthropist Isidore Newman, as a residence for themselves and their respective families (and as part of a larger Newman family enclave on that block), the three-story house appealed to Varino even before he had seen the inside. He liked the architecture and large footprint of the property and from the front of the house could see the pool out back, a definite plus on his list of musts. It had space for formal, casual, public and private areas, a generous yard, as well as a kitchen and several baths that could remain relatively the same from a previous owner’s renovation. 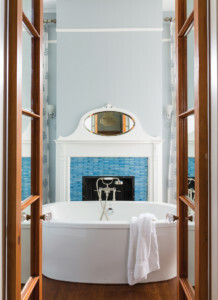 Nevertheless, the 18-month project involved replacing a rear portion of the kitchen with a bar and powder room, painting, refurbishing fireplaces, refinishing and patching floors, adding a screened porch overlooking the yard, redoing several baths, adding a bunk room to the third floor, landscaping and custom furnishings and finishes. 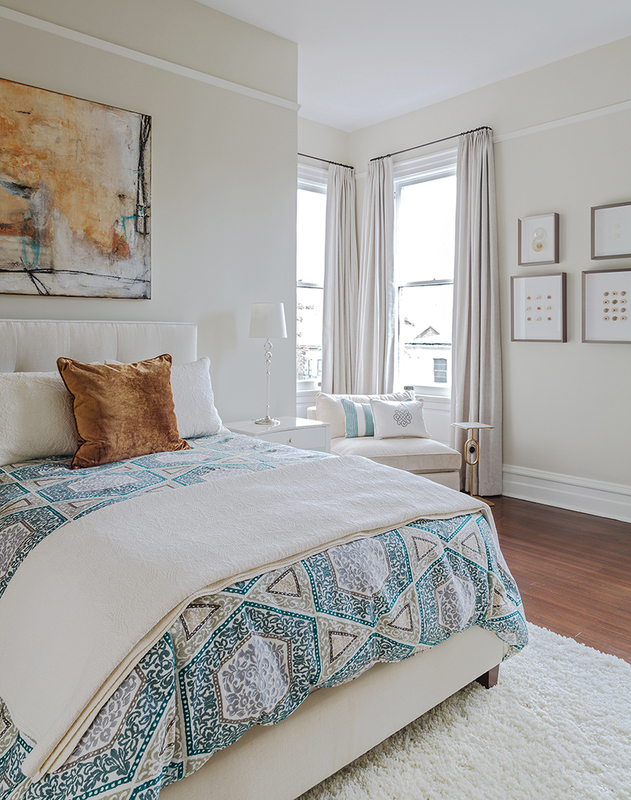 Today, there are four bedrooms, a bunk room and seven baths. 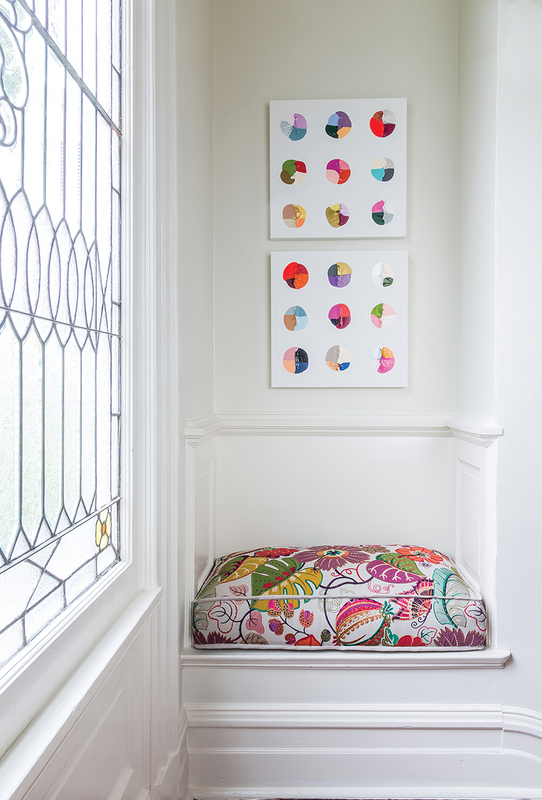 To allow the Victorian architecture to speak for itself and make the most of the home’s natural light, McCulla painted the interior white and brought in color with fabrics and art. 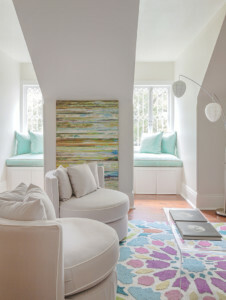 “She pushed me on the use of color and she was totally right,” says Varino. 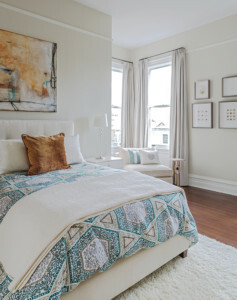 She also opted largely for transitional furnishings that worked with both the age of the house and satisfied the client’s taste for modern design. 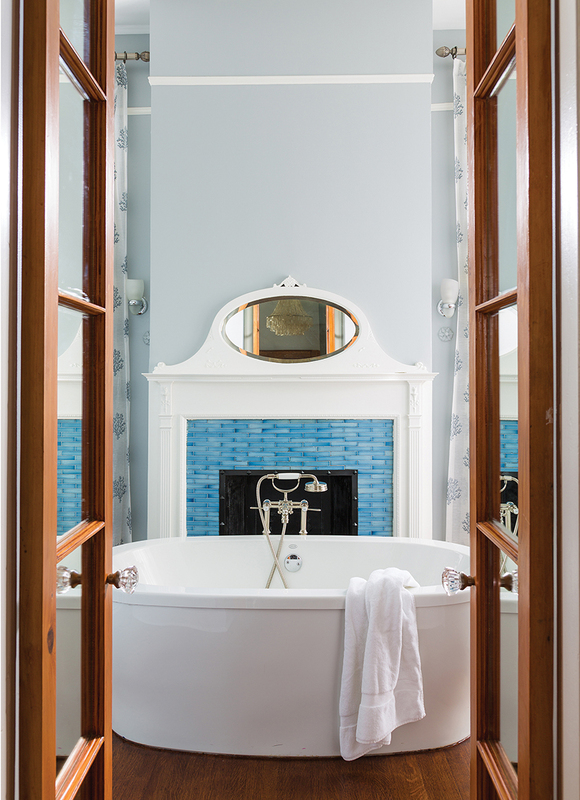 “The design goal was to lighten the home by streamlining the decor with simplicity and contemporary lines, while keeping the antiquity of the beautiful architecture,” says McCulla. 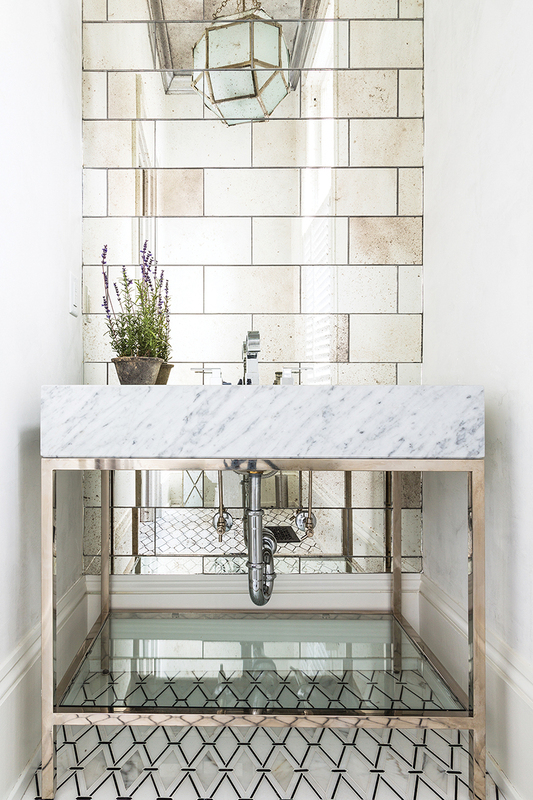 Select pieces with an antique feel, including a stunning, painted corner cabinet found at the Holly Hunt showroom in New York, bridge the new with the old. 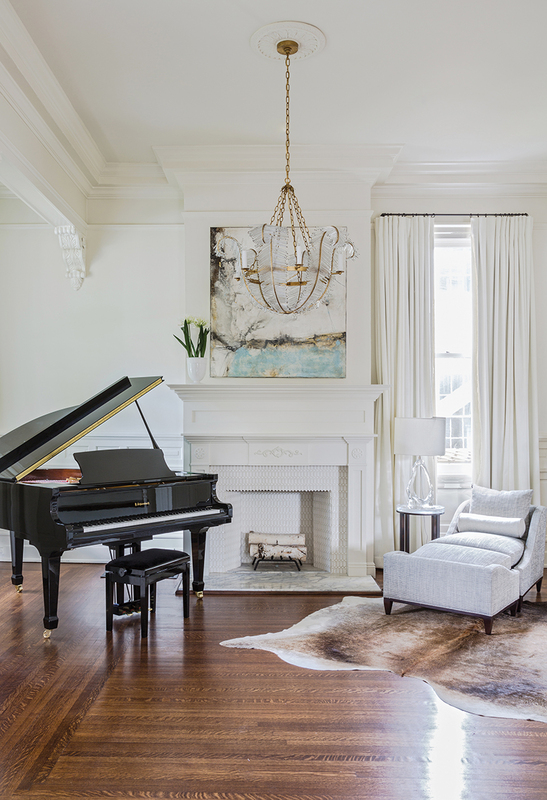 With a strong appreciation for New Orleans culture, particularly its music, Varino wanted the art in the home to reflect his love of the city. McCulla had pieces from his collection of local, music-related photographs matted and framed for the interior. 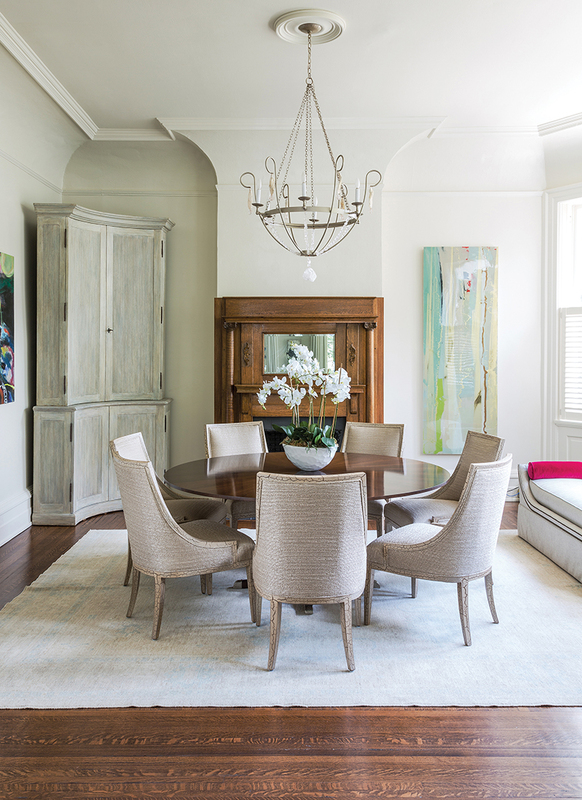 Abstract works by Houston artist Michelle Y. Williams, purchased through local art dealer Susan Illing, feature prominently in the design as well. 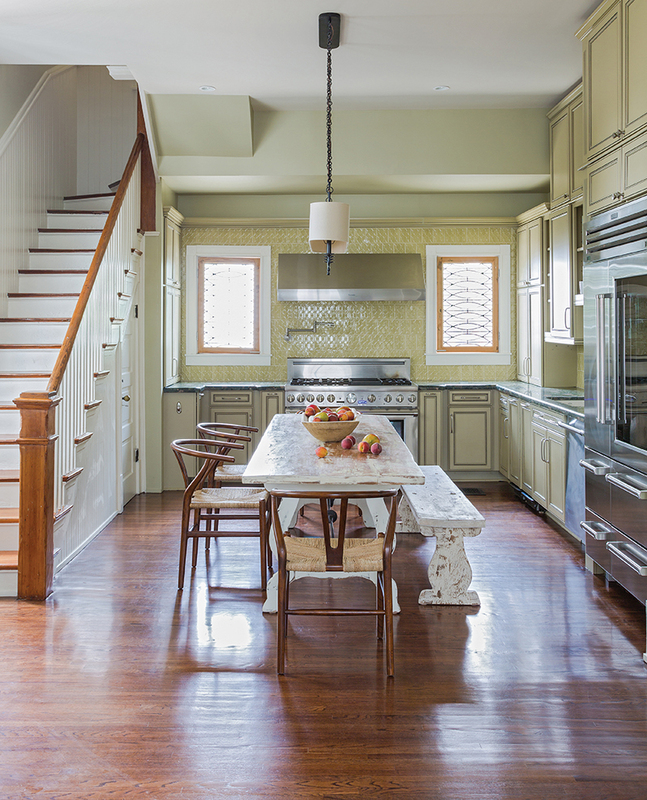 With a slightly more formal feel in the front of the house and a casual atmosphere in the back of the house, where the kitchen, keeping room and screened porch are located, the house is designed to work for both formal and informal gatherings. 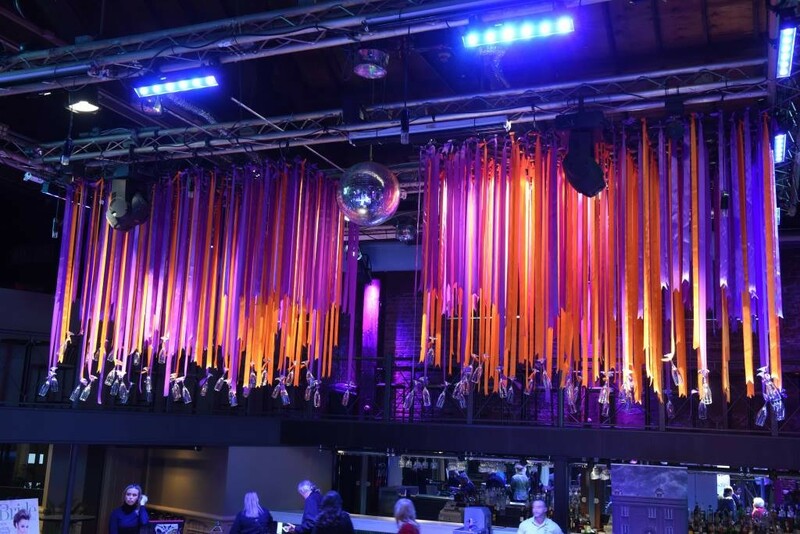 “You can dress it up and have parties and dress it down and hang out,” says Varino. 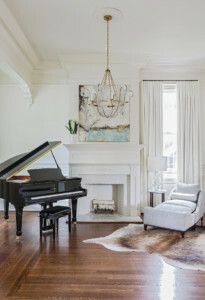 When Varino is not entertaining guests, he says his New Orleans home is the perfect place for he and his family to unwind.